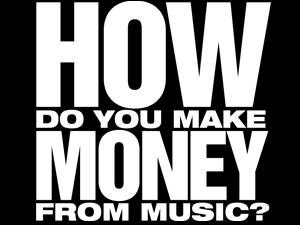 The Artist Revenue Streams project is currently taking a detailed online survey which is one part of a multi-method research effort to assess how musicians and composers are currently generating income from their music, performances and brand. Artist Revenue Streams [ARS] represents the first time a US-based organization has conducted a research project that examines musicians’ revenue streams across all genres and roles. The results could provide musicians, the media and the music community at large with a comprehensive analysis of how musicians are being compensated in the digital age. The survey has already been completed by thousands of musicians and composers, but high participation rates are crucial for this research. FMC wants data from all the corners of the US music community, from individual songwriters, to professional rockers and pit orchestra players. You can be signed to a big label or be releasing your own music. They want to hear from emerging artists and seasoned professionals. Your participation is both voluntary and anonymous. There are no questions that identify you as an individual, and your data will be aggregated with thousands of other musicians. By participating in this survey, you are contributing to something much bigger than simply FMC with some information about your life and musical work; the results will provide a rich snapshot of the complex nature of being a musician in the 21st century. FMC is calling on U.S. based musicians and composers of all types to take the ARS survey before October 28, 2011. Head over to the Future of Music Coalition for more info and to take this survey today!